3D Hologram projectors create a 3D holographic image that floats in mid air attracting curious onlookers at trade shows to get a closer look. Trade Show Holograms is a trade show exhibit company formed by corporate illusionist Timothy Drake. 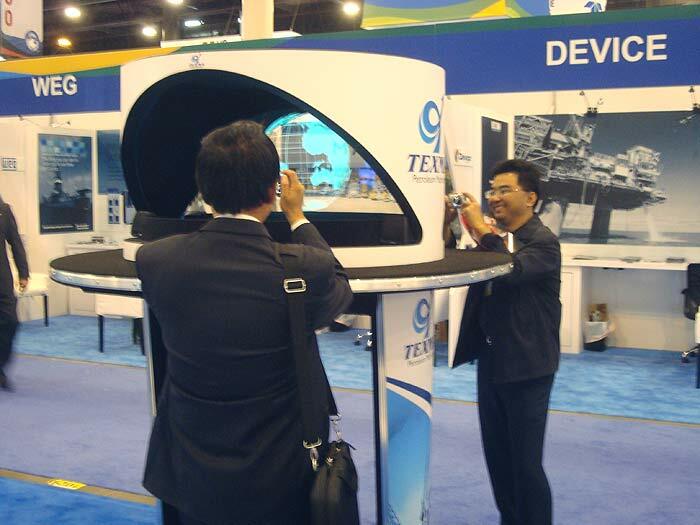 The company builds, designs and rents the hologram projectors for trade shows, corporate and special events. This entry was posted in Hologram Projectors and tagged 3d hologram projector, display, exhibit, hologram, projection, trade show by TimothyDrake. Bookmark the permalink.